14Do everything without grumbling or arguing, 15so that you may become blameless and pure, “children of God without fault in a warped and crooked generation.” Then you will shine among them like stars in the sky 16as you hold firmly to the word of life. And then I will be able to boast on the day of Christ that I did not run or labor in vain. 17But even if I am being poured out like a drink offering on the sacrifice and service coming from your faith, I am glad and rejoice with all of you. 18So you too should be glad and rejoice with me. It isn’t all that hard to remember the last time I grumbled about something or someone—yesterday, to be precise. It’s been a difficult time at work lately, and my unhappiness has surfaced in the way I complain to other people about what I’m facing. The more I grumble, the unhappier I become; the unhappier I become, the more I grumble. But that’s not the way God wants us to live and behave, whether at home, in church, at school, or at work. Instead, God, through the apostle Paul, encourages us to conduct ourselves “in a manner worthy of the gospel of Christ” (Philippians 1:27). This means putting our allegiance to Christ into practice, by intentionally obeying the Lord in reverence. And one way to live out our obedience is doing everything “without grumbling or arguing” (2:14). Yes, when Paul says everything, he means it: even when we’re told to do things we don’t understand or like, when our prayers go unanswered, and when we undergo hardships and persecution. Everything. As I read these verses, they remind me of how the Israelites grumbled against and questioned their leader in the wilderness (Exodus 15:24, 16:8). The Israelites’ critical and complaining attitude towards their situation and God was a form of disobedience against Him. It shows that they didn’t trust God. Likewise, our grumbling and complaining today isn’t just directed at something or someone, it’s directed towards God Himself. 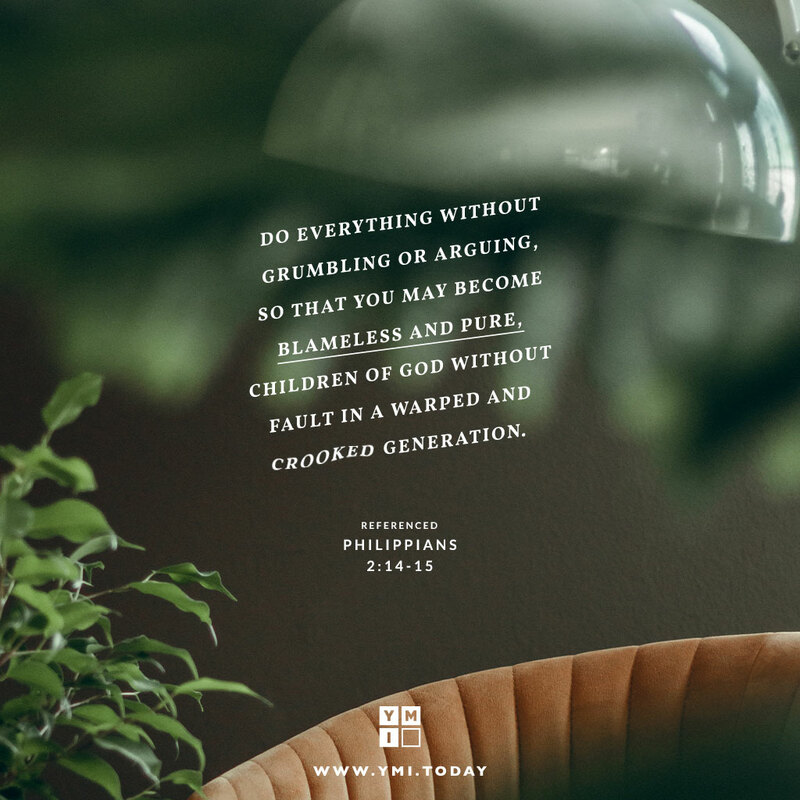 Not only is our grumbling a form of disobedience, it’s also a poor testimony to those around us. As Christians who are a part of—yet set apart from—this world, we are meant to shine as lights, following the example set by Christ (John 8:12). But more often than not, we fail to live in this way. 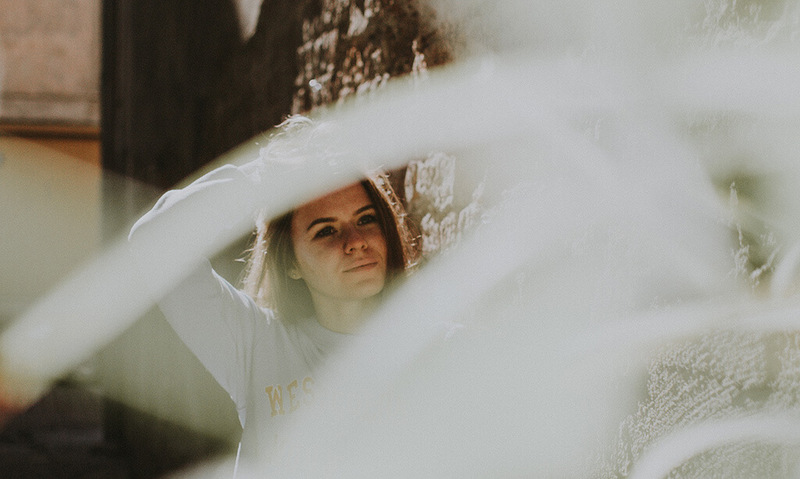 As I think back to the times I grumbled to my colleagues, I wonder who they saw: Christ living in me, or just another one of them? But the question is, how can we find the strength to do everything without complaining? By holding fast to the gospel of Christ (v. 16), Paul says. Not only that, we are promised that God will enable and equip us to do His will through the Holy Spirit (Philippians 2:13). It also helps to remember that refraining from grumbling can be a source of joy and pride to our spiritual mentors and leaders. Paul urged the Philippians to live in obedience to Christ, so that he would have reason to boast when Christ returns. The fruit that the Philippians bore brought Paul great joy (v. 17), and was evidence that his sacrifices for them were not in vain. It’s not easy to stop ourselves from complaining about things we’re unhappy about. For me, it’s still a struggle to rein my tongue when I’ve had a bad day at work, especially when everyone around me is giving vent to their frustrations. But as I remember my identity in Christ—that I’ve been empowered to live differently—I’m learning to withhold word by word, day by day. With every silence offered instead of a sharp tongue, and with every complaint that’s poured out before God instead of to others, I experience the joy and peace that comes from following Him in obedience and resting in His sovereignty. It’s not easy. But as we pray and meditate over why and how we can abstain from such behavior, we’ll find that whatever satisfaction we get out of our murmurings will pale in comparison to living in a manner worthy of the gospel, and to the joy it brings to our leaders, ourselves, and to Christ Himself. Were you ever tempted to complain and argue? What happened when you did so? Are there any specific areas in your life where you find it hard to resist from grumbling or arguing? List them down and bring them to the Lord in prayer. Are we shining like bright stars in a world full of crooked and perverse people? What are some practical ways we can do so? Wendy’s perfect day includes peanut butter, a hike or bike ride, and time with the Lord. As an aspiring writer, she hopes to glorify God through her words. Ty Wendy. I resign from my position as a grumbling person and enter joyfully to enjoy the peace that can be mine by remaining silent. Have complained whenever I would see things go wrong. I wouldn’t just shut my mouth and pray about it but I thank God am getting out. It’s not instant but have made progress thanks to our God. Indeed God hates a complaining heart. God help us all and may God guide us. Thanks a lot, it’s a great gospel that needs to be spread to the whole world,it teaches me to substain of grumbling and arguing,I bet am to work it out by the grace and support of the almighty Jesus Christ our Lord. I am ashamed to admit that i have become this- a complainer and grumbler. My job is very stressful and the values of the organization clash with my beliefs. I have been very vocal about issues that have gone ignored which has only made it worse on myself. Praying for God’s provision of wisdom and thankful for His love and patience because of my failure to be the proper ambassador of Christ to the world. Praying that God helps me change my heart and my mind in Him so that I am no longer a complainer and fan but follower and humbled servant of Christ.